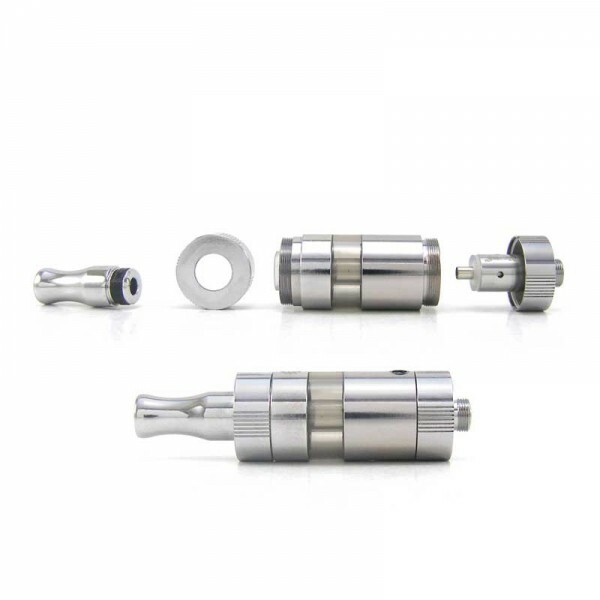 The eMode Atomizer has an adjustable air inlet valve so that you can decide your vaping draw. 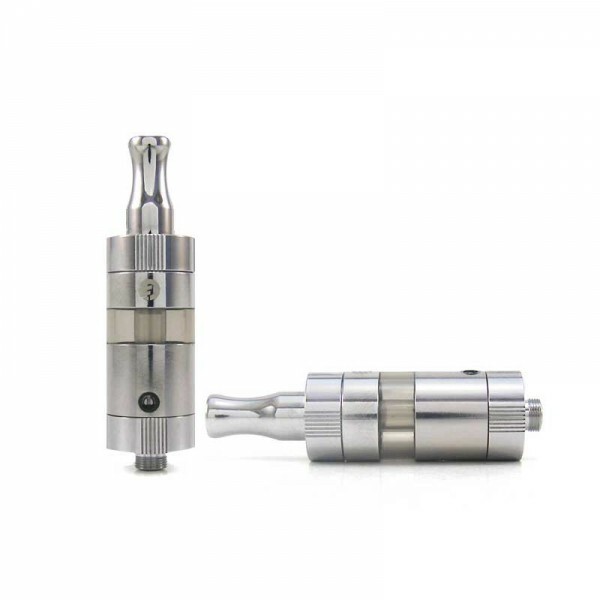 Its atomizer head is the second generation of Joyetech atomizer heads ? 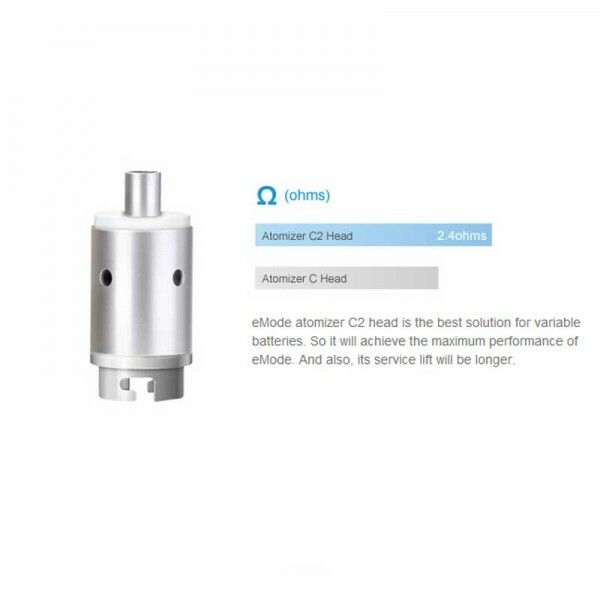 the C2 Atomizer Head. 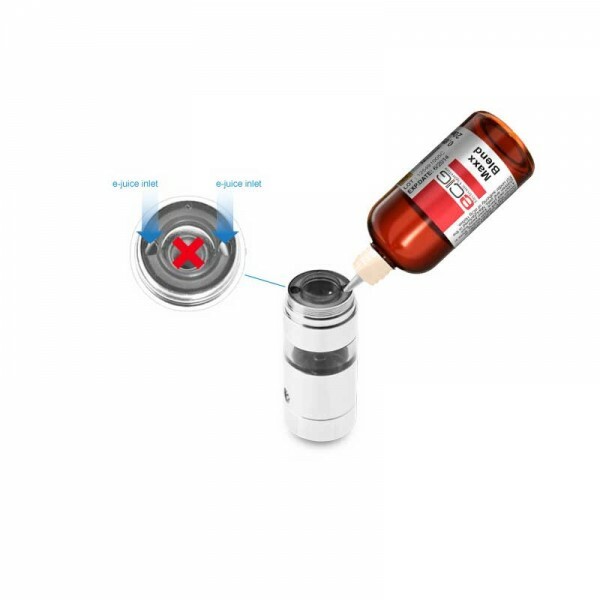 What's more, the clearomizer makes maintaining your e-liquid level simple. When the inlet is turned upward, it will deliver the least amount of air, and the draw will be less airy, just like the eGo-T and eGo-C. When the inlet is turned downward, it will deliver the most amount of air, and the draw will be more airy, like the eGo-CC. When the inlet is turned to the middle (either the right or the left), it will deliver a medium amount of air.